Subscriptions are contributions that any user can make to the Star Citizen Project. You don't have to own a game package to subscribe! They represent a regular payment of either $10 or $20 per month to help support additional RSI features. We support payments through automatic monthly payments through a Plan, or manually through Passes. We started offering subscriptions in 2012, with a growing list of perks! You can check out full subscription perks and information through the Subscriptions page. While in the store, you can check out game packages and ships. How does RSI use my subscriber funds? Subscription revenue contributes to Star Citizen project development by funding behind-the-scenes shows like Around the Verse, Reverse the Verse, Ask the Devs, and the “10 For the” series in addition to Jump Point, the monthly digital magazine about Star Citizen. This revenue also funds the development and release of subscriber-exclusive perks like the monthly hangar flair series and exclusive subscriber merchandise! What subscriptions and perks are available? Two Subscription levels are currently available: Centurion or Imperator. To review the perks, see our Subscriptions page. We may also include subscribers as part of the earliest waves for PTU access. And for every 12 months of consecutive subscription time under a single plan, you are eligible for a discount coupon! Check out the guide Subscriber Discount Coupons for further details. When do I get my subscriber perks? When you pay for a year up front, you receive some perks immediately on payment. Other perks release later. The Vault is updated every Thursday. Subscriber Flair is attributed the second Wednesday of every month. For those that subscribe over the weekend, subscriber flair will be attributed on the following Monday. Jump Point is released the third Friday of every month. Coupon to the store (1 year of consecutive subscription time required). We provide Comm-links updates on all subscriber flair. You can preview what's coming and learn more about any flair changes. Starting in 2018, Imperator no longer receive 2 of the same flair. They get 2 different, giftable flair items. A note is posted on the Jan 2018 comm-link. There are two ways to become a subscriber: through a Plan or through Passes. A Plan is a recurring payment that you subscribe to through your Payment Processor. It can be a monthly-recurring payment or an annually (12 month) recurring one. Every time a payment is processed, your subscription is automatically expanded by one period (month or year, depending on the plan). A Plan can be canceled either through your Billing & Subscriptions page or through the Payment Processor itself. Cancelling a subscription simply cancels all future payments. Canceling a Plan doesn’t cancel or refund any payment that has already been processed. If you use PayPal for your recurring plan, you need to cancel the recurring payment in your PayPal account even if you cancel the plan through My RSI. If you’ve already paid for a month, and you cancel your subscription, you’ll remain a subscriber with all perks intact for the remainder of the period. A Pass is a one-off payment that grants you Subscriber access for a limited time. They’re an excellent alternative if you can’t or don’t want to subscribe to a recurring payment plan. Passes also don’t require a Credit Card to be purchased. You can even buy them with Store Credit. A Pass gives you exactly the same perks as a regular Plan and also contributes to your subscriber history. You can buy passes one at a time, or a bunch at once. How do I sign up and manage my Subscription? 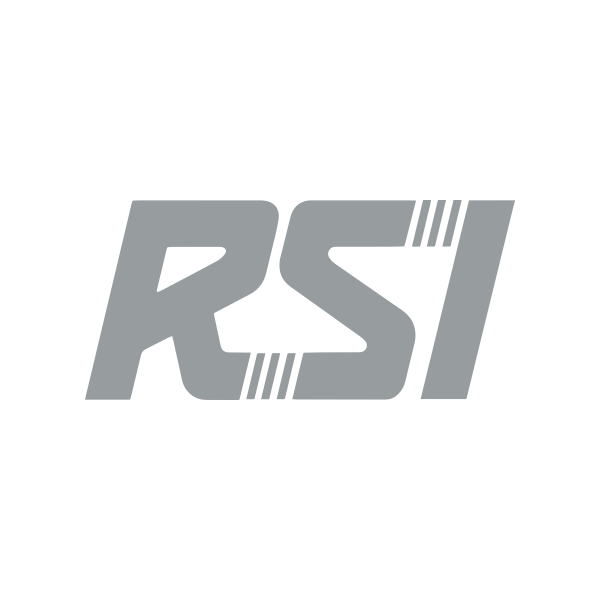 Head over to the Subscriptions page of the RSI website for further information and to subscribe! For detailed information, see Add and Manage Subscriptions. This includes information for upgrading, changing payment methods, and canceling your subscription. You can purchase a subscription with a payment method including Stripe, PayPal, Amazon and Store Credit. If you choose PayPal as a current method and wish to cancel your plan, you must do so through both the RSI website and via PayPal. Can I have both Passes and Plans in my account at the same time? Yes. But be advised, we don't recommend purchasing a Pass while you have an active subscription. You’ll end up paying twice for the same amount of time. If you want to buy a Pass, make sure to cancel any active subscription first. When will I get my coupon? The coupon will be awarded to anyone who has accumulated a contiguous year of either Centurion or Imperator time, a combination of the two plans will not work. The coupon will be single-use, on any transaction in the store, capped at a maximum discount of $50 USD or $100 USD (Imperator level.) Coupons will be given out once for each 12 months of consecutive subscription time. Please also note: a combination of plans and passes will not award a coupon. A subscriber discount coupon will only be awarded after 12 contiguous months under a single place. To learn more about using your coupon, see Subscriber Discount Coupons. Can I use my discount code on subscriptions? No, discounts are for pledges made solely through the Pledge Store. Digital items through the Subscriber's Store and Electronic Access are ineligible for this discount. You cannot use the discount coupon for your Buy Backs. Can I instantly become a long-time subscriber? You can definitely become a long-time subscriber! But first, you need to cancel any active subscription you may have. Once this is done, you can buy any number of month or year passes from the store. As soon as you’ve paid for them, their accumulated time will be added to your personal Subscriber history. Important: Do not re-subscribe with a recurring plan until the accumulated time for the passes has completed. You may end up paying twice for the same time period. Does my time as a subscriber stack? If you purchase and add plans and passes at the same time, the time does not stack. If you have passes, wait till your current plan ends to add them to continue the time. You can add passes and plans to increase your total amount of time to unlock long-time subscriber status. I subscribed with Amazon, why am I receiving emails telling me that I have authorized payments to RSI? This is because of a system change in RSI’s payment interface, you will now receive emails from Amazon once a month, confirming your subscription payment to RSI. No new costs have been incurred, simply a notification of the upcoming transaction. I subscribed with PayPal but I didn't receive a confirmation email. Was my subscription successful? Yes, there is a delay in the email confirmation of the subscription. This can generally take a day or two. Please be patient and wait for validation before you make another attempt at subscribing. Otherwise it is possible that you will end up with 2 concurrent subscriptions.